Learn here if you meet Social Security Disability’s strict requirements to collect a monthly check. These four questions answer who qualifies and who doesn’t. Whether you’re applying for SSD benefits for yourself or others, it’s extremely important to fill out the application form completely, correctly, without omissions, and with the required paperwork enclosed along with it. Having your initial application denied can make you so discouraged that you’ll give up on SSD and miss out on the benefits you deserve. This section and the next may help you to avoid an immediate denial or needless delays. The application process is complex and can take much time and effort. But several million Americans go through it each year and, if successful, are very glad they did. After all, the average benefit in 2018 for a disabled worker was $1,197.00 per month — $14,364.00 per year — so it’s well worth applying if a disability keeps you from earning a decent income. Did you become disabled six months or more before you reached Social Security’s Normal (Full) retirement age, which is between age 66 and 67, depending on the year you were born? If you answered “No,” you are not eligible for SSD benefits. If you answered “Yes,” then proceed to the next question. Does your physical or mental condition prevent you from engaging in any “Substantial Gainful Activity” (SGA) to earn an income? To answer, you need to know what the SSA currently calls “substantial.” In 2018, if you are blind (as per the SSA’s definition), you can earn more up to $1,970 a month; if not blind, the limit is $1,180 per month. Note that countable earnings can be reduced by impairment-related work expenses. If you answered “No,” you are not eligible for SSD benefits. . Normally, workers who pay into the Social Security system (via FICA payroll contributions or self-employment tax) receive four credits per full or partial year. Like insurance premiums, you must pay in (pay taxes) to receive benefits. If you answered “No,” you are not eligible for SSD benefits. This is often hard to figure out, if you are not sure, file an application. If you answered “Yes,” then proceed to the Listing of Impairments. If you have any doubt about your possible eligibility, file an application to get a formal decision. Stated another way be careful not to incorrectly rule out your potential eligibility. Please Note: If you became disabled before age 22 and you have a parent who is either receiving Social Security Disability or Retirement or is deceased, you may be allowed to collect dependent or survivor disability benefits based on the work credits of your parent(s). Their own benefits would not be affected. IN ADDITION: To be eligible for SSD benefits, you must provide proof that you cannot perform SGA in any occupation. 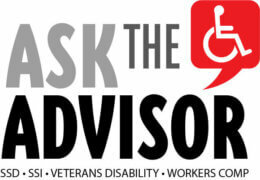 ONE way to qualify is to have an illness that meets or equals the severity of those in the SSA’s Listing of Impairments. The Listings describe for each major body system impairments considered severe enough to prevent an applicant from doing any gainful activity without consideration of work the have done in the past, their work skills, education, or age. Most of the listed impairments are permanent or expected to result in death, but for some, the listing includes a specific statement of duration. Part B of the Listings lists impairments pertaining to children. Medical evidence — signs, symptoms and/or laboratory findings — is required by the SSA to document any disability claim. Pain or other symptoms are also considered, but are not usually enough to substantiate a claim. These impairments and conditions are all those listed in Part A (above) plus Growth Impairments. Medical evidence: Applicants are responsible for providing medical evidence proving they have a listed impairment and what its severity is or if their condition is not in The Listings that the condition prevents performing substantial gainful activity in any occupation. However, if you need assistance in obtaining this data, the SSA — with your permission (provide your doctors’ names and contact information, the dates you were examined or treated, etc.) — can help request the medical reports required. Acceptable medical sources include licensed physicians, psychologists, optometrists, podiatrists…whatever type of medical professional is relevant. How to in apply for SSD benefits is discussed in our article How to Apply for Social Security Disability Benefits. How can I tell if I will meet Social Security Disability requirements?